Your gaming dice sets will stand out from the rest when you carry them in the Chainmail Dice Bag. 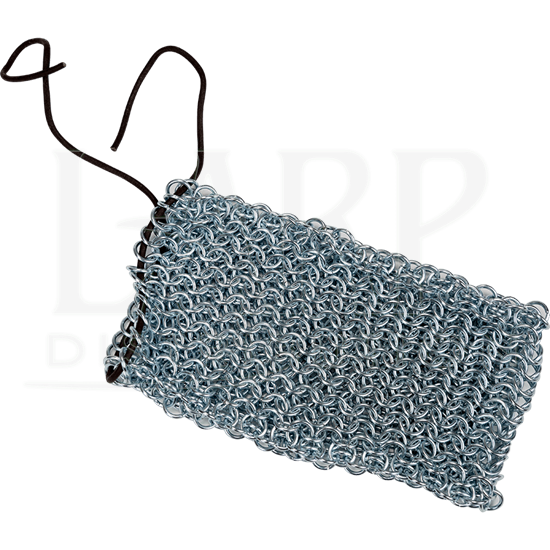 This unique drawstring dice bag is made of galvanized, rust-resistant steel rings tightly woven like traditional medieval chainmail. The rings are made of 16 gauge mild steel and each have an 8 millimeter diameter. At the top of the rectangular chainmail pouch is a drawstring cord. Pull it tight and tie it to secure the chainmail bag closed. 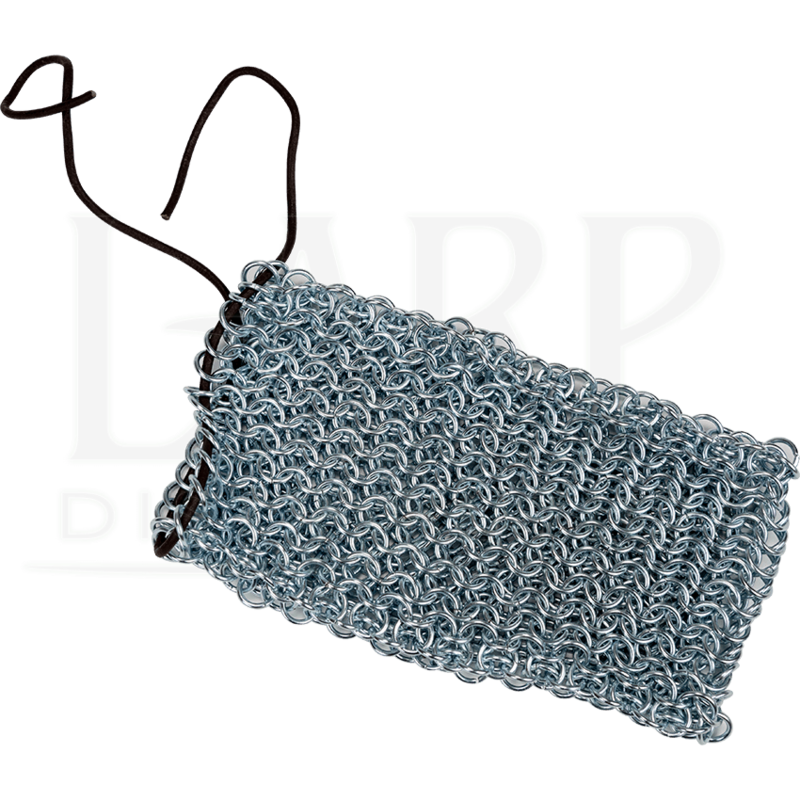 At your next game night or tabletop RPG event, have your dice match the occasion in this steel chainmail drawstring pouch. Please note that the dice shown are not included. Occasional oiling is necessary for the proper maintenance of this item. When storing this item, protect it from oxidation by coating it with machine oil.